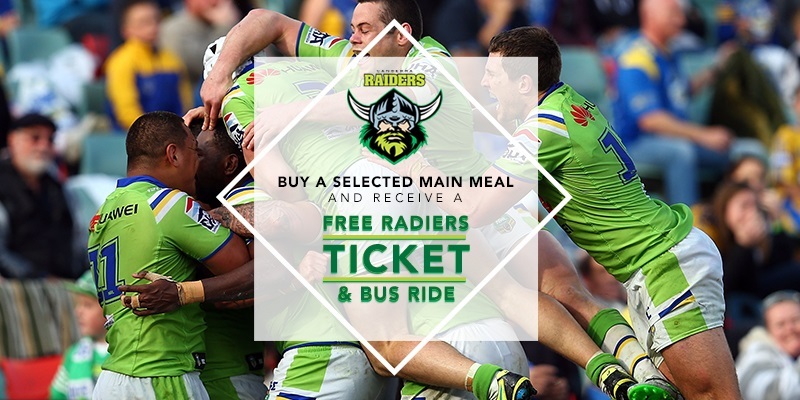 Purchase The Duxton Ticket & Meal Deal and receive a Raiders vs Storm ticket and a selected meal all inclusive. The free bus leaves The Duxton 45 minutes before the start of the game. Must arrive at The Duxton 2 hours prior to kick-off time. Meal must be redeemed on game day. Match ticket will be given to guests at the venue when they redeem their voucher. Ticket sales end on Friday 22nd March 2019 at 12:00pm.